I have always found that visiting a local market is a surefire way of getting to know a place better. I adored the Machneyehuda market in Jerusalem, La Boqueria in Barcelona, and London’s Camden market, to me, embodies that part of the city which I know and love so well (read more about all those markets here). 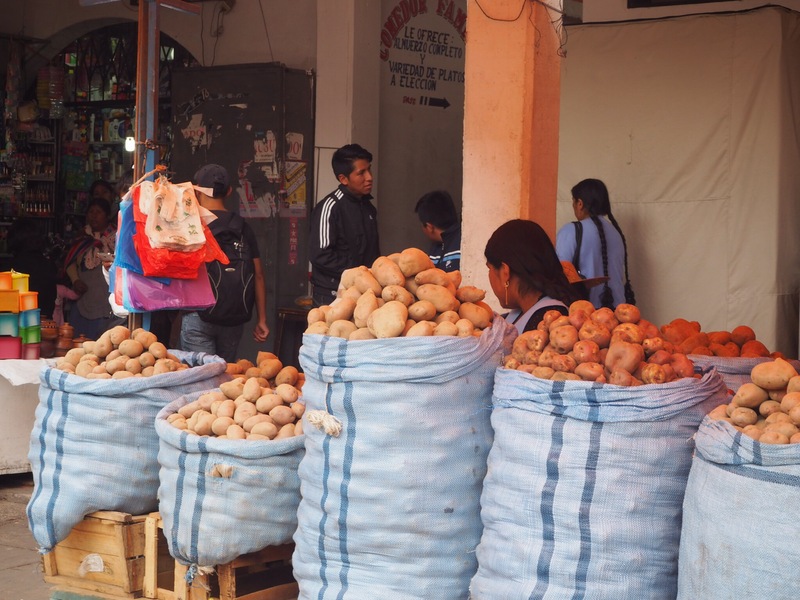 We’ve been exploring lots of markets on our trip through South America, but the highlight so far has definitely been the Mercado Central in Sucre, Bolivia. The colours!! None of these photos are edited for saturation or colour enhancing… the fruits and vegetables just are that vibrant. Breakfast every day has involved pineapple, passionfruit (it’s so tasty it makes me cry a little), and achachairú, a local fruit that is a cross between a lychee and a papaya, with a strong perfumed odour. We’re staying in a hostel here with a large kitchen, and so every day we have taken a stroll through the market and picked up everything we need for dinner. 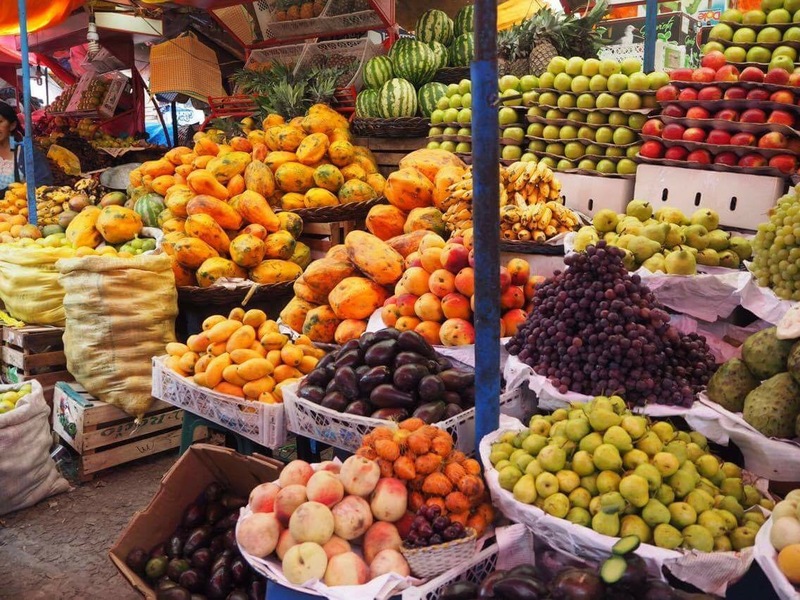 Most of the sellers are open to bargaining, and the prices are incredibly low compared to the quality of the produce, and particularly after spending two months in Argentina and Chile, which are quite expensive countries. Highlights for us have been the freshly squeezed fruit juices (5-6 Bolivianos for 400ml, which is under £1) and the egg tagliatelle, which was the best pasta I’ve tasted since leaving Europe (11 Bolivianos for 1kg, so around £1.20). 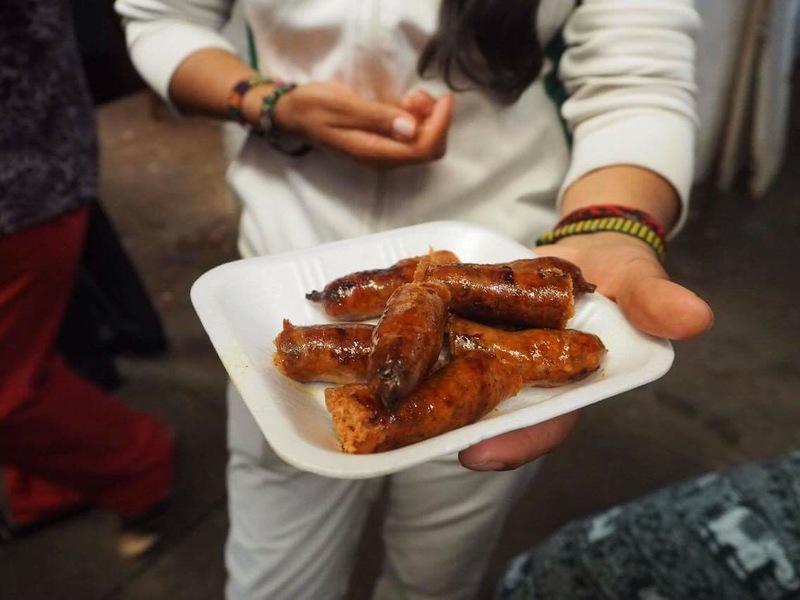 There’s also an area with traditional Bolivian meals, where you can get a huge plate of food for around 10-11 Bolivianos (£1.20), and to be sure it’ll keep you full for a while! However, we skipped these in favour of a choripan, or simple chorizo sandwich, for a mere 7 Bolivianos (13 if you want an extra sausage!). 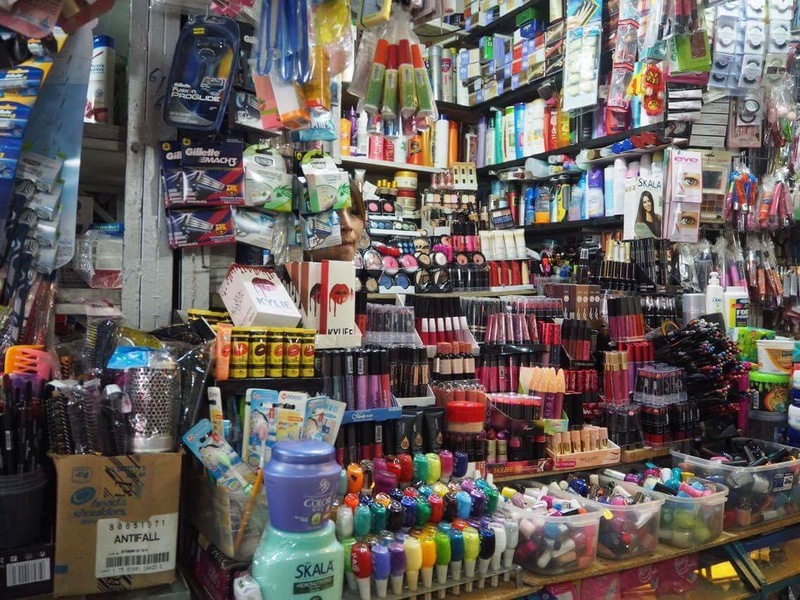 The market also sells everything from cosmetics to toys to clothes, so it’s definitely worth multiple visits to explore thoroughly. Sucre itself is a wonderful place, we’ve thoroughly enjoyed the ‘white city’ and will be sad to move on tomorrow. But such is the nature of travelling – and we are sure the rest of Bolivia will continue to amaze and impress us! 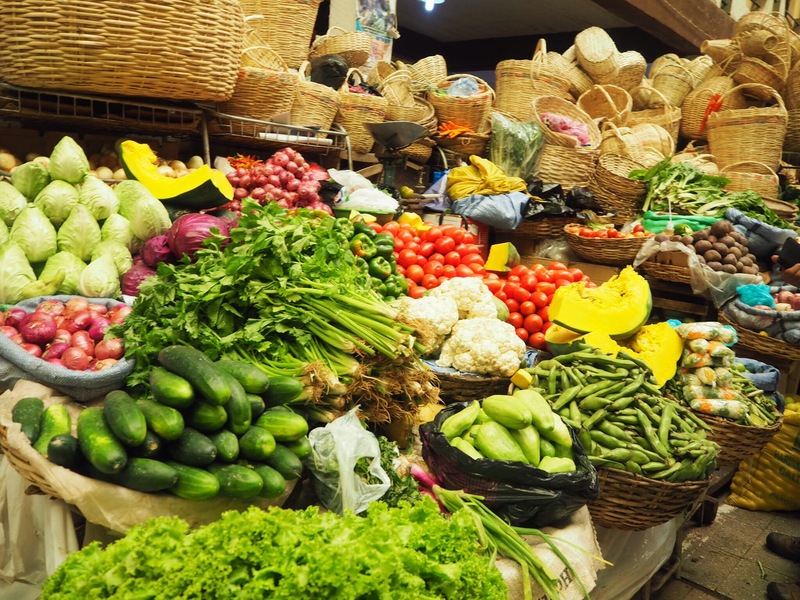 They sell woven baskets alongside the fruits and vegetables so you can carry them home more easily! 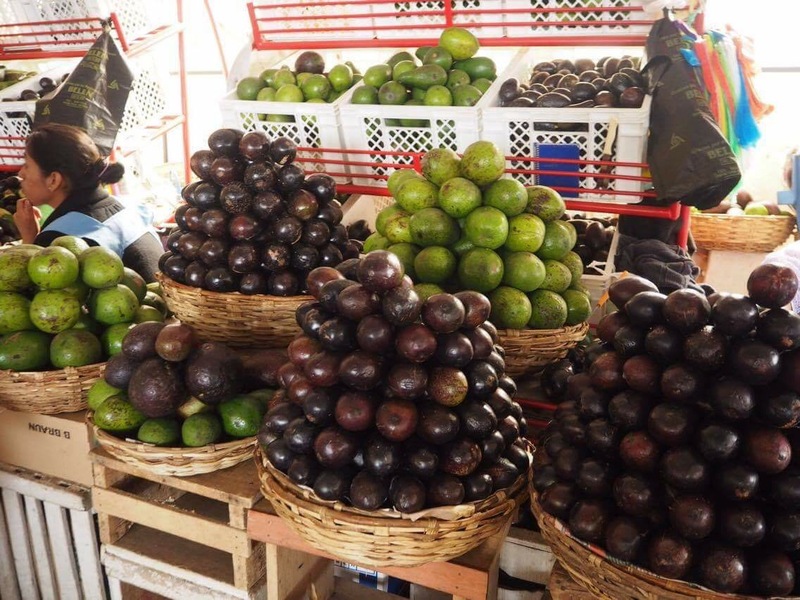 There were loads of stalls selling nothing but avocado – the dream!